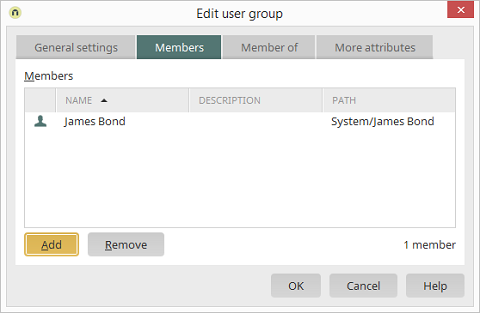 Roles, user groups and distribution lists can have members (other objects) added to them. The corresponding symbol is shown here. Displays the object's position in the user structure. Opens a dialog where a member can be selected. Removes the currently selected object from the list.